After reading the The Holiday Celebrations 2012 eguide, I knew one of the items that was going to be on my list: Starbucks coffee! Since I wrote the post Make Choosing The Right Gift Easy With Party Blu Prints E-Gift, I thought I should take my own advice. 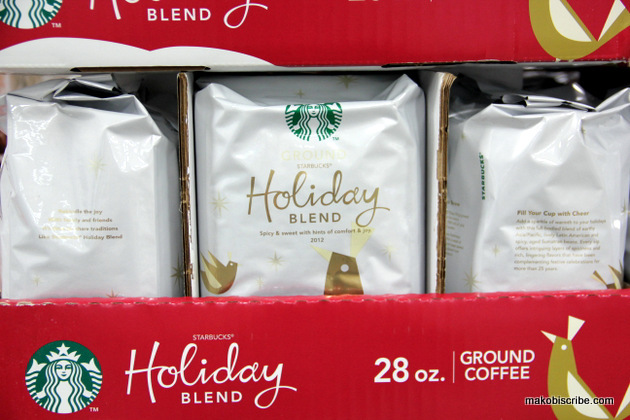 As an avid coffee drinker and lover, I know my like-minded kin would love the same gifts I drool over. My Grandma is one of my favorite people in the world and she lives really close. 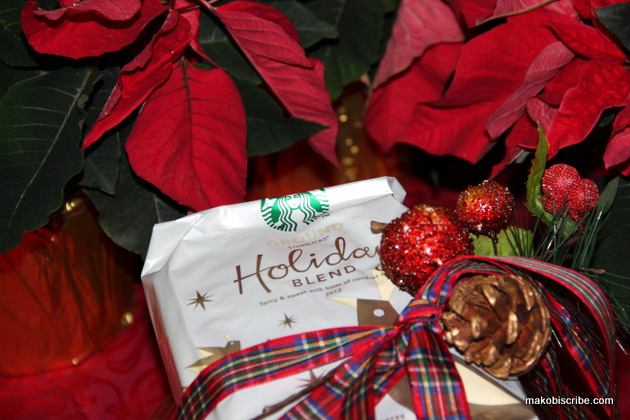 I just knew she would adore the Holiday coffee blend. Me, being the awesome Granddaughter that I am, purchased a huge pack from Sam’s Club with buying it for her (to share with me of course.) I envisioned the two of us sipping coffee decorating her house for Christmas. We will not be here for Christmas this year, so it will be nice to show up ahead of time to spend some quality time before the holidays. 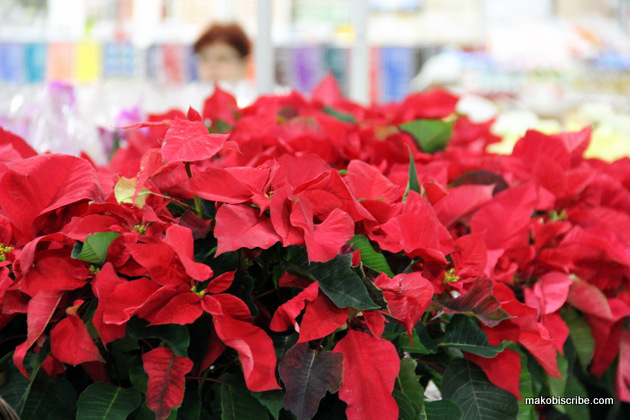 While shopping in Sam’s club, I also came across these beautiful Poinsettia Plants, and thought it would make a nice touch. 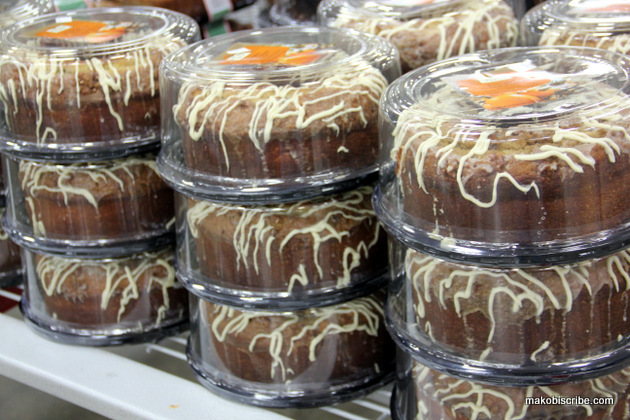 Then I came across the Pumpkin cheese bundt cake in Sam’s and thought that would make a perfect pairing with the coffee. This gift was shaping up nicely! (for us both, since I intend on sharing lol). Cannot you just picture me and Grandma sitting around the kitchen sipping coffee and eating cake while discussing what needs to go where? Doesn’t that sound like a grand time! I thought so! So I showed up to Grandma’s with a gift in tow, and soon we were readying ourselves for our Christmas chat. There are tons of other suggestions in the Holiday Celebrations 2012 eguide. you should check it out to see what strikes your fancy. Who knows maybe you can cross that hard to buy for person off your list. 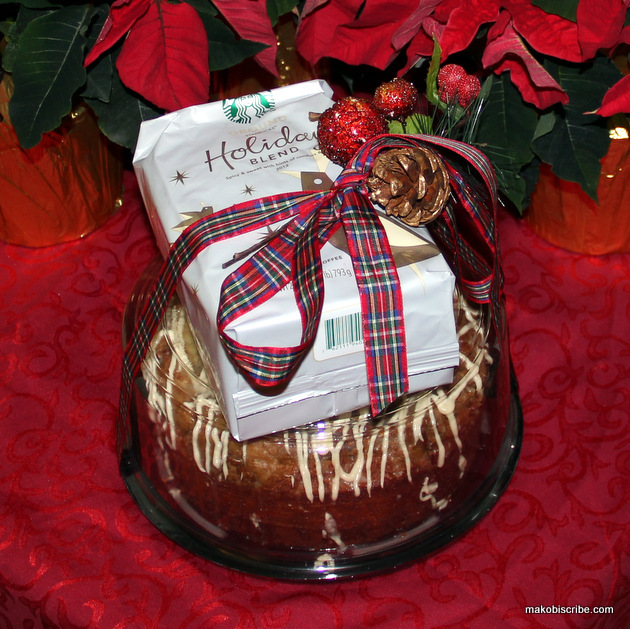 See how nicely the gift I chose to give (and share) from the guide looks!! What a great holiday gift idea. I am going to have to use this next year! 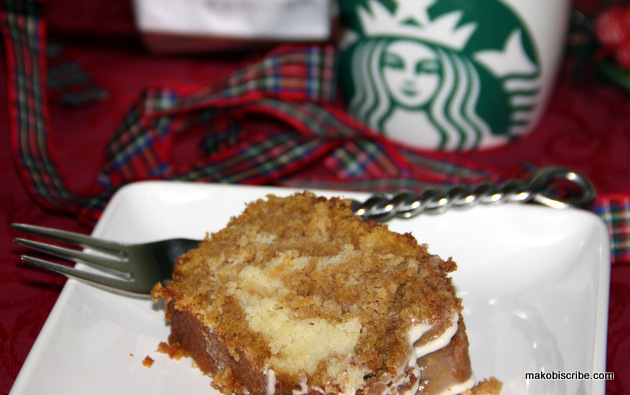 Yummm, nothing goes better together than a cup of coffee and some pumpkin cheese bundt cake.